Water heaters are typically the second highest source of energy use in your home behind heating and cooling systems. If you currently have a standard electric water heater, you can reduce your hot water costs by up to 60% by installing a heat pump water heater (HPWH). That means greater energy efficiency and big savings on your utility bill. 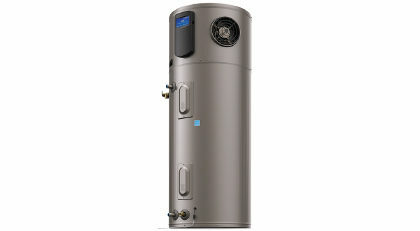 HPWHs have similar tank sizes compared with standard electric water heaters and feature the same range of temperature adjustments. To help you decide whether switching to a HPWH is right for your home, here is an easy-to-use interactive tool. We offer eligible property owners a $500 rebate towards the purchase and installation of a qualifying HPWH in a home or rental property up to four units. There is a limit of one rebate per HPWH or a maximum of two rebates per home or living unit. Additional rebates may also be available from product manufacturers, so talk with a licensed contractor for details. To learn more, see our Rebates page and our Rebate FAQs.